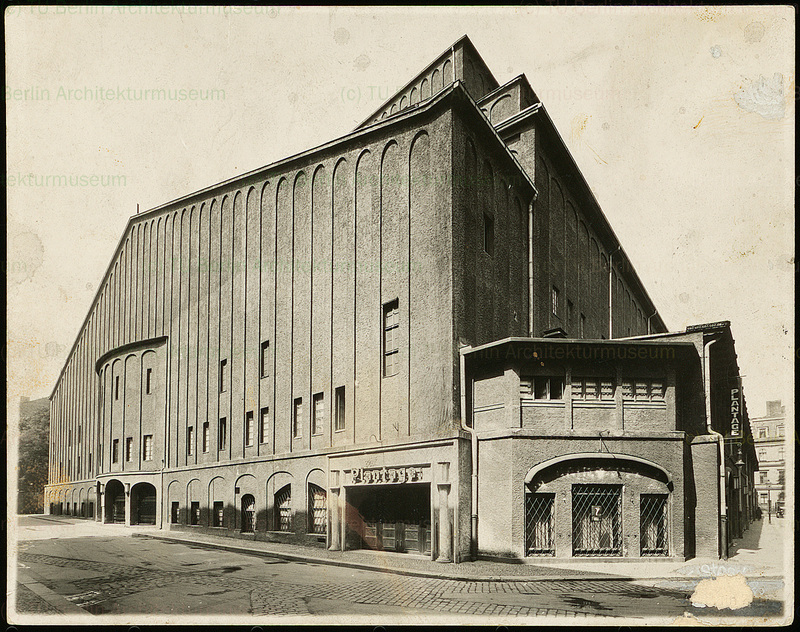 On this day in 1919 the Grosses Schauspielhaus opened in Berlin. The theatre had a sadly short history: in 1933 it was taken over by the Nazis who dubbed it “degenerate” and masked its offensive elements from the good party members who came to shows. After World War II it changed hands again, falling deeper into disrepair, finally demolished in 1988–an age that you’d think would have greater value for trippy architecture. 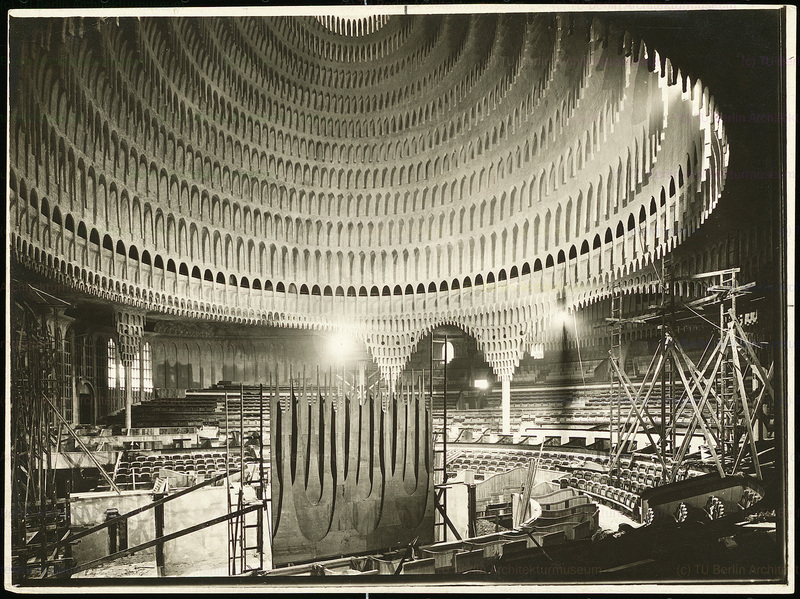 Although now known only through black and white photographs, the theatre still suggests tremendous drama through its great scale, sublime cascade of rings that make up its cavernous dome, and all those little drippy stalactite elements that make it look as though the building is bearing down on the audience, rather than having a big roof held up by some sort of structural supports. To top it off, it was all painted red and lights shone on the ceiling in stellar patterns, a constellation in the theatre’s crimson sky. 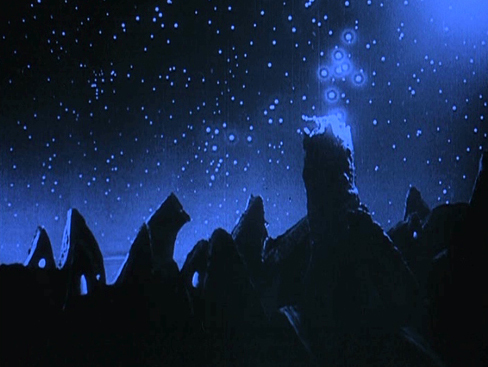 It must have been an amazing sight; one wonders if the stage presentations were able to live up to their surroundings. the most unappealing building you have ever profiled. . . . fascinatingly icky. . . .
I’ve never heard the word “icky” used in such a context, but I’ll allow it. 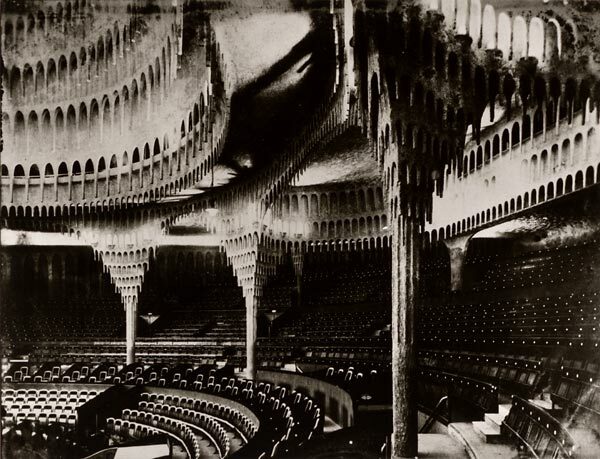 You are currently reading November 28: the great Great Theatre at Clio’s Calendar: Daily Musings on Architectural History.